Isaac Newton played “god” in this novel, I am scared of and for you dude. The way he stands aside to appraise the city and inhabitants like as if the “Book of Life” was being opened. Isaac strips the city naked and talks about all the dirty secrets; gay night clubs, agbero secret codes, getting a girl. I particularly found his philosophy hilarious, he thinks that Lagos is enough evidence for the existence of God. Who does that?!!! His stories are episodic, you enjoy it like any of these season movies we are used to. I believe the author wanted the reader to watch the book rather than read it. The writers humanity builds a bond with the weak, the down and beaten members of the society. He himself walks into the story unannounced, making the story personal both for the reader and for himself. You would definitely be amused at the way he describes the treachery and cunny that defines the GIDI life. I wonder the daring photographer who took the illustration pictures, they were fitting into the chaotic situations described in this stories. I would think the pictures were taken with a hidden camera especially those that covered the agberos and other hideous characters. This book talks about hope, it tells anyone who reads that there is a city somewhere that young Nigerians, Africans are beating the greatest odds to achieve their dreams and LIG is one dream that comes through as a Miracle of the God that lives in Gidi. 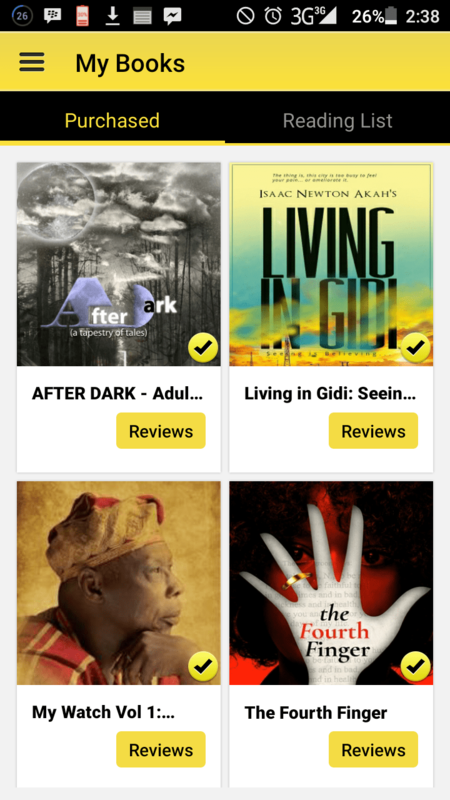 Try to get a copy on Okada books, you would have to download the app and its just 2.2mb. Pay #500 using recharge card vouchers. I used my GTB ATM on the mobile browser. I already purchased on Okada books, you can join me by downloading them and let’s review together. Beautiful review. Thanks to the reviewer.